The 2018 FIA World Rallycross season is upon us and that can only mean one thing: Fantasy World RX! Each week, we’ll do our best to provide sharp, reliable insight into the best picks of the week. Next up? The World RX of Portugal at the Montalegre circuit, streaming LIVE on FloRacing this Sunday. Solberg was excellent all weekend long at Catalunya-Barcelona before contact with Mattias Ekstrom took him out of the running from the jump in the final. The two-time series champ has won twice at Portugal in the past five years and figures to have a little extra venom in his spit this week. Hansen earned a top four finish at Portugal a year ago and led one of the semifinals at Barcelona until technical issues spoiled his day. Look for a bounce-back performance from Hansen in this one. Timerzyanov was solid if not spectacular at Barcelona, and with three top 10 finishes at Portugal during the past five seasons, he’s a sound choice to lead this group. Of the options in Pool D, it would seem that Bennett is the clear standout. A 25-year-old former motocross rider, Bennett finished third in the British Rallycross Championship in 2017, finding the podium in all but two events. He will run part-time on the World RX calendar in 2018, behind the wheel of a new Mini Cooper S Supercar. And, while he’s the deepest of sleepers in Portugal, Bennett has the chops to stick around well into Sunday. Bonus Question 1: Which team will score the most points? 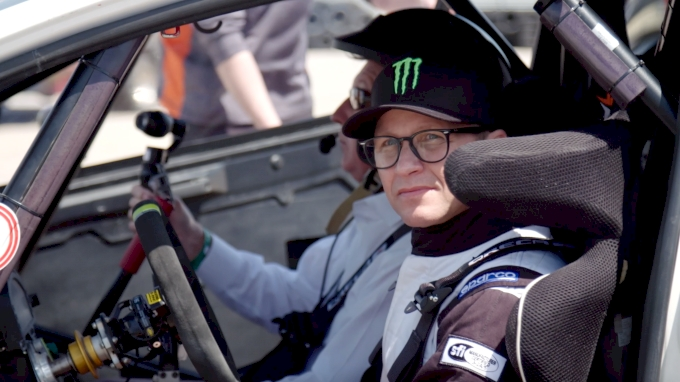 If you like Solberg in this one—and we do—then you love PSRX. No team has better odds for a 1-2 finish than the team that features Solberg along with defending champ—and last week’s winner—Johan Kristoffersson. Bonus Question 2: Which driver will finish the highest in free practice? We’ll take this Hansen brother in this spot, thanks, in large part, to a very strong showing on this course last year. Bonus Question 3: How many Swedish drivers will make the final? Ultimately, it should come down to whether or not Timmy Hansen performs as well as expected. If so, one would have to assume that the final will likely also include Kristoffersson and Ekstrom. Make sure to get your #MontalegreRX Fantasy RX picks in before the deadline! Bonus Question 4: Will both GCK drivers make the semifinal? The smart move is probably to take the field. Bonus Question 5: Which of the following drivers will finish highest in the Q4 classification? Give us Ekstrom on a hunch. He was great last week. He’s the defending champ at Portugal. What’s not to like? Don't forget to make your own picks over at Fantasy RX. Then, tune into the World RX of Portugal LIVE on FloRacing on Sunday to watch your drivers in action.